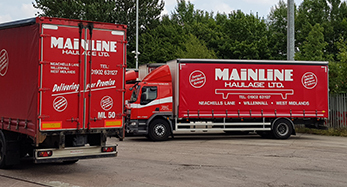 Mainline Haulage was established in 1974 by Ron Aiken running a Transit Van from Mainline Service Station in Wolverhampton, Mainline now runs a fleet of circa 40 HGV’s from a state of the art distribution and warehousing facility at Neachells Lane, Willenhall. 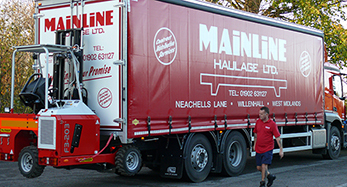 Mainline view its select customer base as members of an exclusive club! 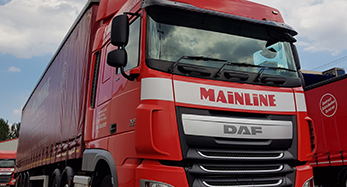 We act as consultants to evaluate our customer’s logistical challenges and always find the most efficient and cost effective solution to ensure seamless despatch, handling and delivery of our customer’s product. 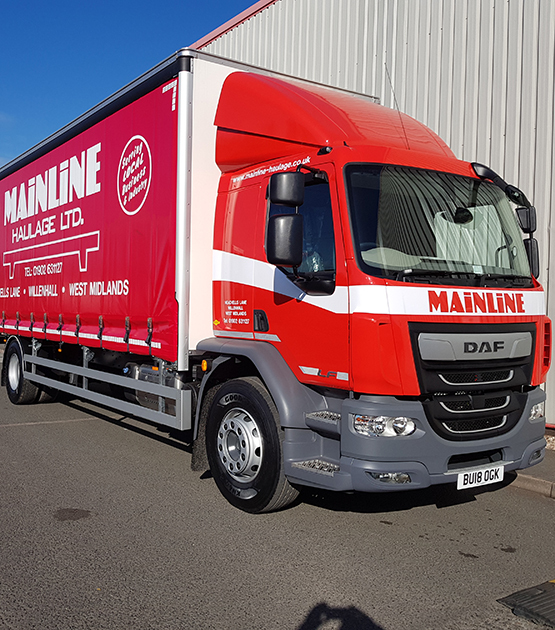 We believe in the concept that our valued customer’s time and management effort is better spent focusing on their core business with Mainline taking out all of the hassle that can come with ‘Warehousing and Distribution’. 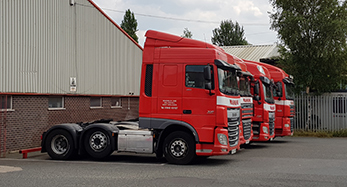 The 11 Acre site ‘Neachells Park Distribution Centre’ boasts over 100,000 square feet of Warehousing, a CCTV security system monitored remotely 24/7, axle weighing facility, a 3 Bay Maintenance facility with ‘Rolling Road’ brake tester & full vehicle diagnostics system. We are not a pallet network and keep load handling to a minimum to reduce opportunities for damage. We had no goods in transit insurance claims last year and handled over 10,000 consignments. We have live tracking of your load and you can pick up the phone and speak to one of our team at any time. 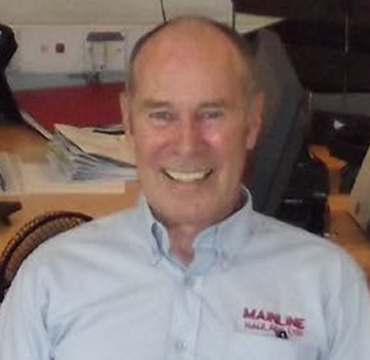 Ron began running a Transit Van from Mainline Service Station in Wolverhampton in 1974 before building a fleet of circa 40 vehicles. 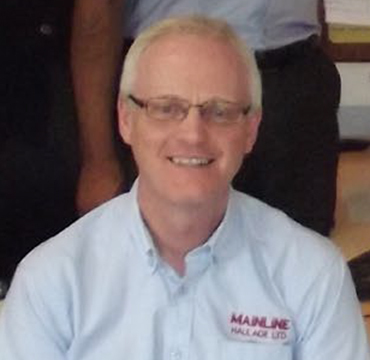 Iain has been in the industry for over 30 years, 11 of those have been with Mainline before becoming Managing Director in 2010. 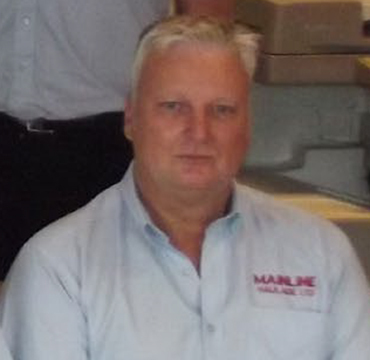 Mark has been with Mainline for over 35 years with an extensive background in transport. 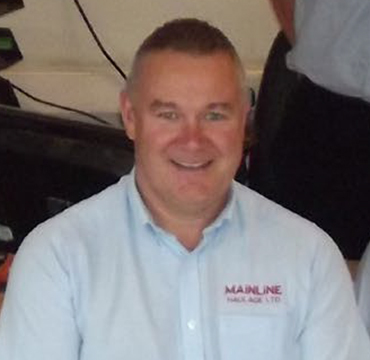 Paul started his career at Mainline as a driver before becoming Transport Manager and has been part of the team for nearly 3 decades. 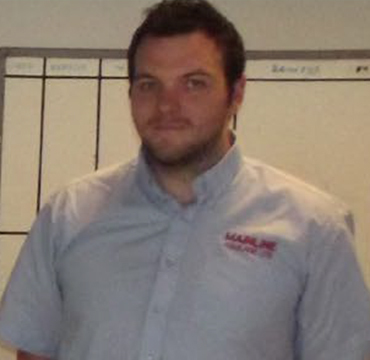 Steve started as a driver at Mainline and decided to transfer his first hand operational knowledge and skills to an office based role. 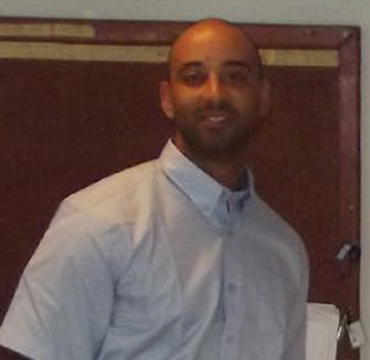 Adam has over 15 years’ experience within the transport and logistics industry, with a varied background in planning, projects and operational management.